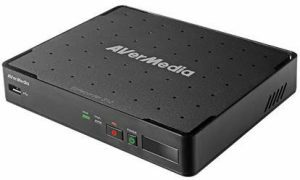 AVerMedia Technologies, Inc., the preeminent name in digital multimedia technology, today announced the availability of ER310. ER310 provides a solution for busy people to watch TV at home in modern times. It provides easy way for users to preserve all the wonders and excitements you see on your television. ER310 is a digital video recorder that records and stores TV shows in a hard drive for easy video playback and managing it conveniently. ER310 works like a VCR but without a tape. It automatically turns your set-top box on and records video at a scheduled time. Be it your sports game or TV shows ER310 easily records 1080p with any HDMI or component video source such as cable, satellite, game console, Blu-ray player, or even streaming video services, additionally by attaching the bundled IR blaster to your set-top box’s IR sensor, ER310 can turn your set-top box on at a preset time and switch it to the right channel for recording. ER310 comes with a built-in video editor, and allows users multiple video trimmings right on your TV without a PC. 1 HDCP-protected content cannot be recorded. 2 Cables not included. Please purchase separately. USB hubs, card readers, FAT format, NAS or HDDs over 2 TB capacity are not supported. SATA II slot supports 9.5 or 7 mm height hard drive. 4 For real-time clock, time zone, DST info gathering only.